Sound proof sash windows will genuinely improve the comfort of your home, and there’s some handy additional benefits of sound proofing your sash windows. Your sash windows will retain heat more efficiently and security will be improved. 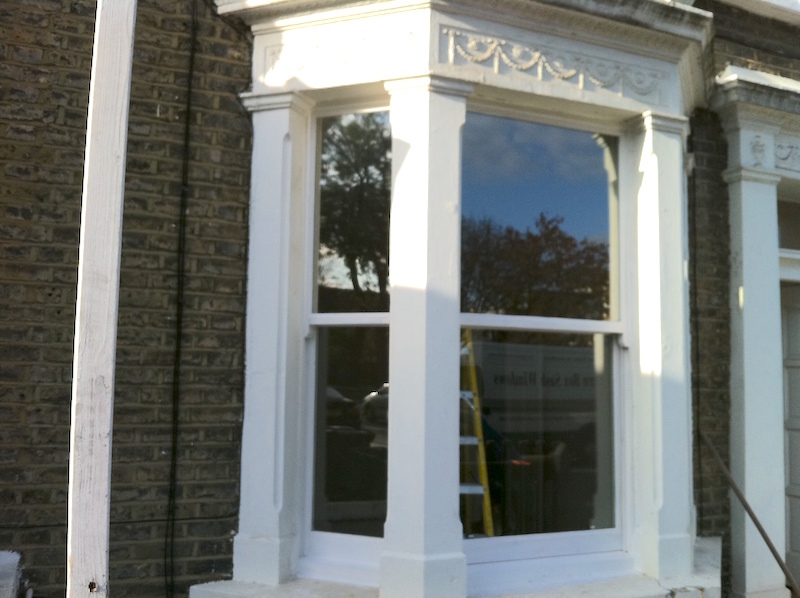 In this post I intend to provide you with all the professional and DIY options for sound proof sash windows. The options will range from just a few pence to thousands of pounds per window and there is plenty of good value in between. The most expensive options do not automatically mean the best results, and they certainly do not mean the best value for money, pound for pound. The best place to start with sound proof sash windows is an understanding of how noise is measured. Noise or volume is measured in Decibels, the abbreviation is ‘dB’ which I shall refer to in this article. To understand the dB scale and pollution let’s look at an example – a car travelling at 30mph, at a distance of 50 feet from your front living room window (that’s pretty accurate for a large number of London townhouses). This would equate to 62 dB for a normal car, and 73 dB for a truck. This is actually not that fair a representation in London because the speed humps mean a slowing and accelerating diesel truck makes considerably more noise than a petrol car, but there are no available sources for this information and therefore we rely on factual statistics posted above, with vehicles just at ’cruising’ speed, but if pushed I would say, based on other figures I am aware of, the truck is more likely 85 dB in typical London circumstances. 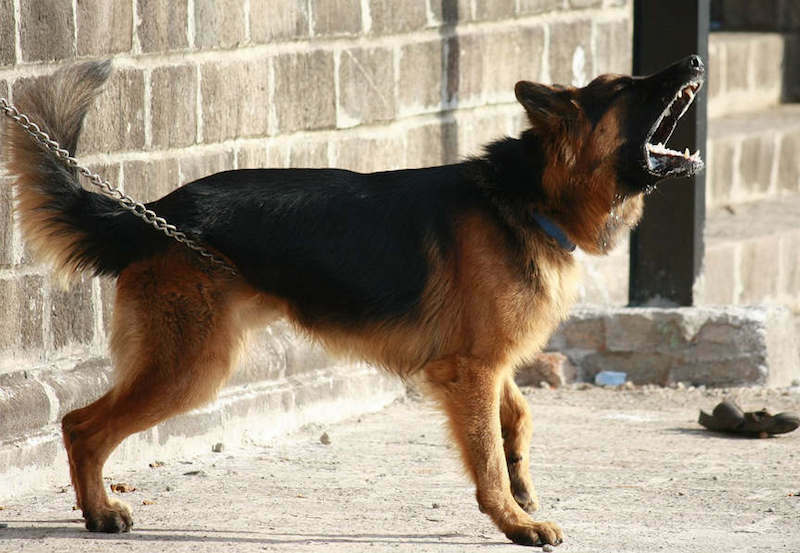 A barking dog will normally output 60 dB and can go as loud as 110 dB according to Southwark Council. A fearsome sight for any would be intruder, but how are the neighbours affected? By contrast we whisper at 40 dB, which means just 20 dB increase is extremely uncomfortable for us. It’s important to understand this figure as we go further in the article because some improvements might seem minor because of the small reductions in numbers, but they are not small at all and actually very significant, and it’ll help you fully understand the benefits of the options available to you and where great value for money can be had. 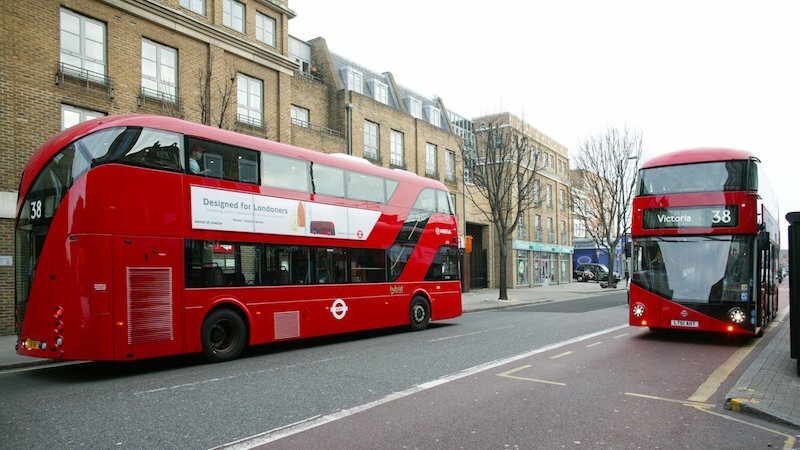 Now that we know a van will make around 85 dB as we previously discussed with speed humps, and a barking dog will normally make 60dB but as much as 110 dB according to Southwark Council it’s important to understand the damage this is causing us. Noise has been associated to serious cardiovascular problems. The most recent studies suggest that being exposed to more than 50 dB at night continually, will lead to elevated cortisol production, which in turn increases the likelihood myocardial infarction. What does that mean in plain old English for the those including myself with no medical background? A lot of noise at night will probably increase the likelihood of a heart attack! This article isn’t about the scientific problems associated with sound or to scaremonger, but these are verifiable facts, so if that interests you, it is worth searching wikipedia for ‘noise associated to heart problems’ and the last paragraph will make more sense, personally I look to sound proof sash windows for improved comfort in my home, and being kept from a good nights sleep, stopping me doing good work the next morning, far more than worrying about a the associated health implications. Now that we know noise is potentially damaging our health and at the very least causing sleepless nights (and I expect like me, you knew that already, and that’s why you are searching for good solutions) we will take a look at the best professional sound proof sash windows options. There is sash window draught proofing, sash window double glazing, secondary glazing, and various acoustic glazing options. Sash window draught proofing can considerably reduce the dB level in your home. 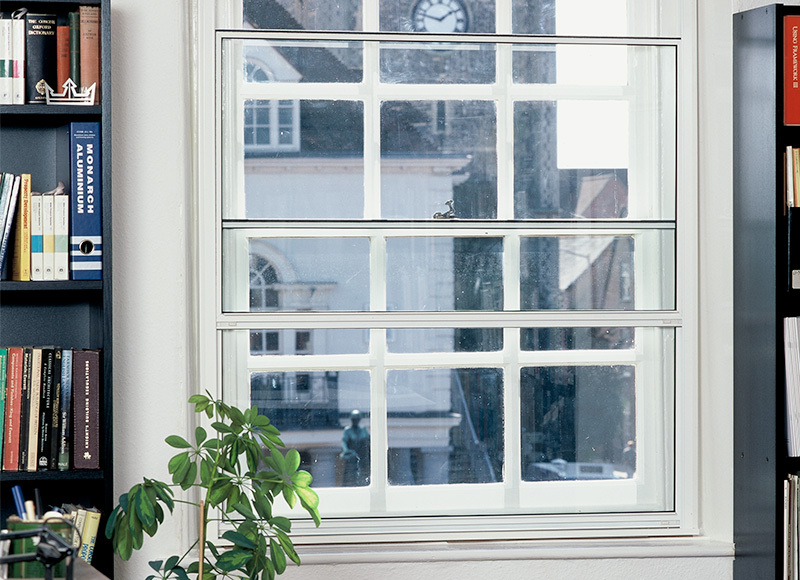 While to date there are no conclusive scientific studies on the difference draught proofing makes, it is a well known fact that an old draughty sash window, that now has a quality draught proofing system will be much improved and more comfortable. 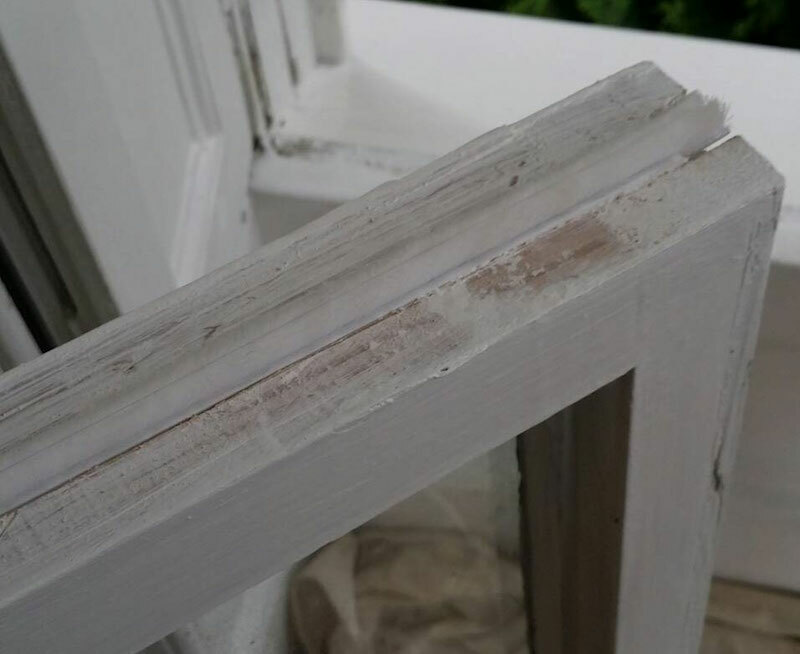 Sash windows vary considerably in condition and insulation, the absolute best advice I can offer anyone looking to make their home more comfortable, is to apply masking tape to all joints on the sash window. This will stop the same amount of noise dB as a sash window draught proofing system. I will share with you a supplemental figure I am aware of which is a reduction of 10 dB, but please, do not take this as cast in stone because of the wildly varying conditions of sash windows, and to me the figure is almost useless because of this and if noise pollution is of real concern to you, then please ignore this figure entirely, and tape up your windows to satisfy yourselves. The other great thing about sash window draught proofing is the energy savings. Normally you can get payback on a sash window draught proofing system in as little as four years. Again, this figure relies on your window previously being rattly and draughty. If it was sealed then the improvement will not be so significant. Upper rail of top sash with sash window draught proofing system installed. What I would like to point out about the ‘general’ reduction figure, is a barking dog at 60 dB might now be reduced to 50 dB. This is certainly not going to be enough to significantly improve the quality of your comfort at night, which I am very clear about in all surveys. Draught proofing helps considerably as 10 dB is a large reduction, it’s just not quite there for the more prominent noise of traffic, and barking, or people shouting, but pound for pound it’s brilliant and untouchable for the price of sound proofing. Talking of money, a draught proofing system costs £200 – £250 per window. Without having a fancy meter we can’t be entirely sure, but it’s very fair to say a sash window that is draughty and rattles, will certainly benefit 10 dB improvement at a minimum. So we will assume your sash windows are draughty and rattle for all financial purposes in this article. That way the value can definitely be accurate through consistency. It is definitely worth draught proofing your sash windows if noise is a problem. Double glazing, without draught proofing would be worthless as all noise would still come in the perimeter, and is definitely the foundation of sound proof sash windows. There is the DIY sash window draught proofing options which I’ve already gone into great length at the link provided which will do the same job of reducing noise pollution as a professional system, but for a few pounds instead of hundreds. If draught proofing wasn’t enough, then the very best option pound for pound strictly talking about performance is secondary glazing (once you’ve draught proofed your sash windows). There is no option that will come close to touching secondary glazing in terms of value for money. Because of the large air cavity created by the draught proofing and the secondary glazed unit itself, heat and noise really cannot travel at all. Whilst the cavity is not airtight, it is pretty close, and the result is a really thick double glazed unit. As we know, the thicker a double glazed unit, the better it’s insulating properties. A 6mm cavity is only half as effective as 22mm. An air gap of 100mm is considerably more efficient than a 22mm air gap still! This next statement comes with a BIG but! Secondary glazing is the right option if you are a big sufferer of noise, and don’t want to spend a fortune achieving near perfect results. The big problem with secondary glazing is it ruins the aesthetics of a period property. This is not even down to preference, it’s just plain ugly. Take a look at the image below. Secondary glazing, you just can’t make it look good. There’s nothing you can do to make secondary glazing less evasive and really, it’s true. If you loved your period property (which I am sure you do) then you just don’t want to bolt ugly panes of glass and aluminium frames (these are the slimmest and least invasive) over your beautiful sash windows! Sorry if it sounds rude, it kind of is, but we must accept that the only reason to have secondary glazing is out of pure function alone, and know we damage the charm of our period property using it. Again that said, if we are on a budget and we have a serious problem with noise and sleep loss. This is the right option for sound proof sash windows. Your sash windows are not ruined forever, we can simply remove the secondary glazing and redecorate at anytime convenient to us. That said I would not rush out and buy secondary glazing before at least getting to the end of this article as there is a much better solution that provides a combination of aesthetics and sound proofing for similar costs coming up! Sash window double glazing is the first big step up in noise pollution reduction. The dB level of a double glazed sash window will be dramatically lower than a single glazed sash window. Within the double glazing bracket there are also many scales, ranging from slimline double glazing for listed buildings, to new triple glazing sash windows which will cost over £2000 per window, that claim to reduce noise to just 35 dB, which is below a whisper! Now that’s great that the triple glazed sash window is perfectly sound proof at just 35 dB and below whispering levels (as we know whispering is 40 dB), but what about walls and roofing? They certainly have not achieved that level of sound proofing unless they have also been sound proofed, respectively, and therefore would we say triple glazing is pointless unless your prepared to sound proof your walls and roof as well?. Well of course it is because no matter how sound proof our sash windows are, unless we deal with the walls and roof, we cannot achieve a perfect rating overall anyway! I told you there would be some really valuable information in this article if you considered investing in sound proofing for your home and sound proof sash windows! So now we know triple glazing is extremely expensive and although will assist us in producing perfect dB levels, the walls, the roof, and the insulation of the sash window itself would inhibit the possibility of such a low result. In order to make triple glazing effective we would need to entirely replace the sash windows to ensure brand new, perfect insulation as this is not possible in an old frame with original sashes that are not capable of holding such thickness of unit. We would then need to install acoustic boards in the walls and roof, which would mean totally plaster boarding, plastering and decorating again, and then of course, we will lose room space because of the thickness of the sound proof boards. The cost for one room with just a couple of windows might be £10,000. Totally not worth it for most normal homes. Let’s look at another sash window double glazing option then. The Sound proof sash windows dB reduction can go as low as 44 dB once the original sash window has been double glazed and draught proofed. This is the ‘perfect’ example and should not be relied on, but it’s safe to say that draught proofing and a double glazed sash will provide a comfortable night for most people and will not break the bank. Some that really struggle with noise might consider this service with secondary glazing to get the numbers down really low, but it must be pointed out(again) that at 35 dB you need to start worrying about wall and roof insulation to really achieve incredible sound proofing(similar to a recording studio for example). Nevertheless, double glazing offers the best solution all round for noise pollution as well as reducing your carbon footprint through double glazing. Before rapping this article up we should discuss the Acoustic Glazing options available. We’ve discussed double glazing already which is a large part of the acoustic option. We haven’t talked strictly about acoustic glass. Glass actually designed to reduce noise specifically. There’s a reason it’s been left to last and almost forgotten and that is because when designed it was a big thing, until installers and homeowners unfortunate enough to just have large, super heavy chunks of glass installed at serious costs(£1000 a window in glass alone), noticed after installation it wasn’t all that good. I should be unbiased and point out the glass is in fact a laminate, it doesn’t change the fact it’s solid and not as good as an air gap. So now acoustic glass is often sold by Pilkington and Saint Gobain with the idea it should be made into a double glazed unit! The air cavity is far more effective than a solid lump of glass! That’s why a draught proofing system with secondary glazing is so effective – the huge air gap by the way even if ugly! 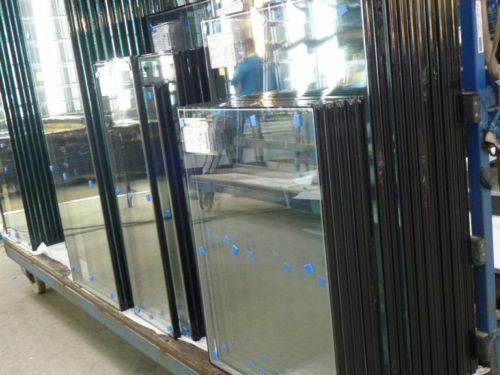 Pilkington Optithon glazing is normally offered directly from their own manufacturing operation with 16mm Argon filled cavity and a series of thicknesses from 6mm up to an impossible 13mm for sash windows, another reason that acoustic glazing got far less of a mention than double glazing standard Pilkington units. Here’s a look at those units. If you’d like to know more about sound proof sash windows, please do not hesitate to contact us, we will be glad to help, and I would take the opportunity to show you our useful installation page, just in case you think you’d like to work with us!